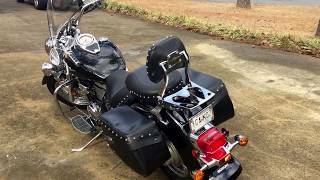 This used 2011 Suzuki Boulevard C50T Motorcycle for sale has 1500 miles. The color is White / Silver. 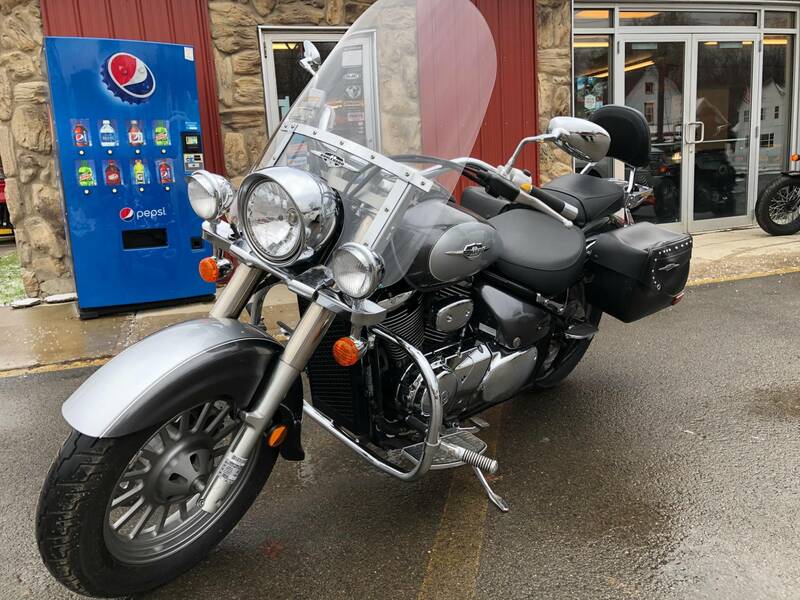 It is offered for sale by Hectors Powersports and located in Jamestown, NY. The listing # is 14819. Boulevard C50T Meet the Boulevard C50T&apos;” a classic cruiser with bold style and no equal. 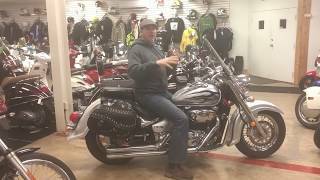 Like the C50, it too boasts a fuel-injected 45-degree V-twin engine that cranks out abundant torque down low, matched with exciting top-end performance. 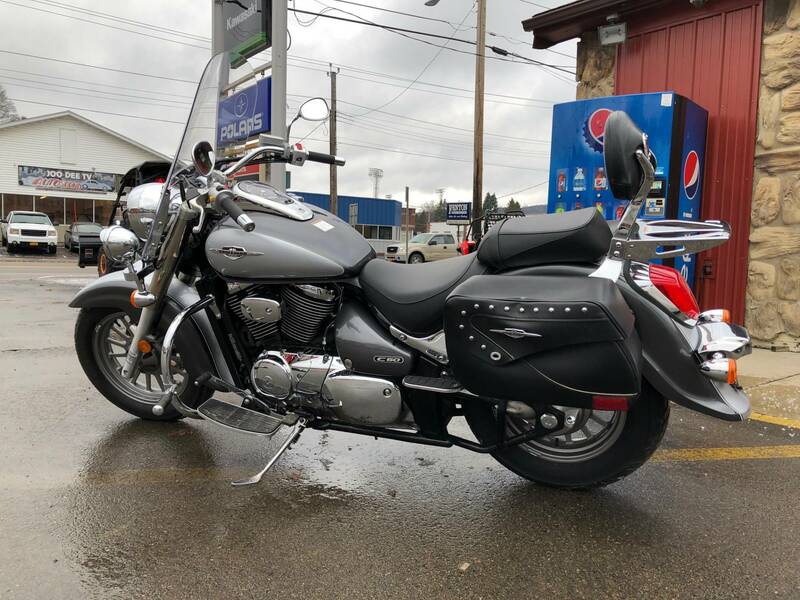 It also has a spacious riding position and smooth suspension that encourages you to take to the open highway for true long-range cruising in maximum comfort. With a multitude of features, the C50T also establishes its own unique identity. 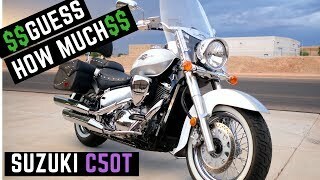 The C50T has a range of custom features that are ideal for all-day cruising, including an aerodynamic windshield, custom-made leather saddlebags and a well-padded backrest designed especially for passenger comfort. So go out and experience the open ride in style today. 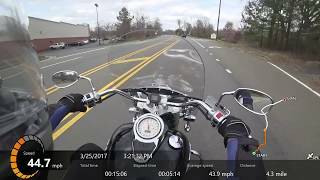 Hop on a C50T and experience the ride for yourself! The average price of a 2011 Motorcycle for sale is $8429.65. This model is priced $8429.65 less. The average price of a 2011 Suzuki Motorcycle for sale is $6097.99. This model is priced $6097.99 less. 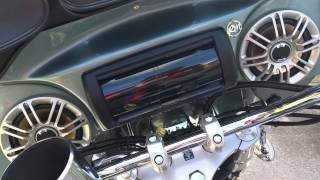 The average 2011 Suzuki Motorcycle for sale has 10968 miles. This model has 9468 less miles. 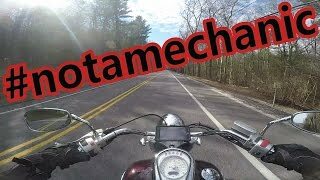 There are 302 Suzuki Motorcycles for sale within 150 miles of Jamestown, NY. 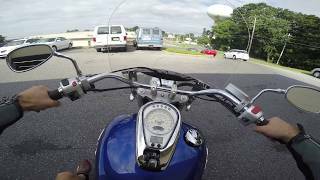 If you looked at the average 2010 Suzuki Motorcycle for sale it would cost $2196.67 more. 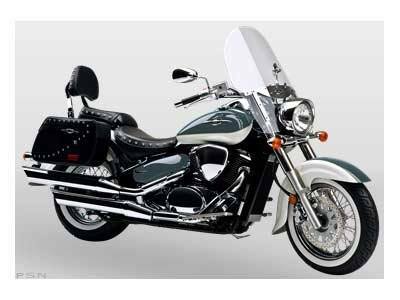 If you looked at the average 2012 Suzuki Motorcycle for sale it would cost $6297.16 more. 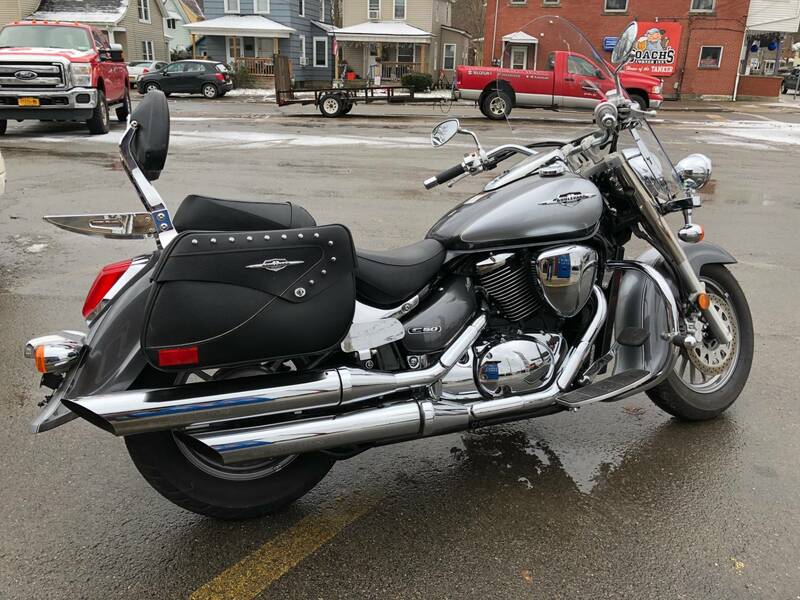 The average price of a 2011 Suzuki Boulevard C50T Motorcycle for sale is $4896.60. This model is priced $4896.60 less. 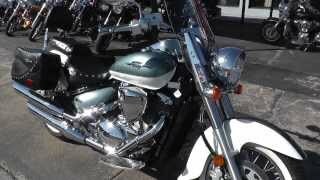 The average 2011 Suzuki Boulevard C50T Motorcycle for sale has 9329 miles. This model has 7829 less miles. 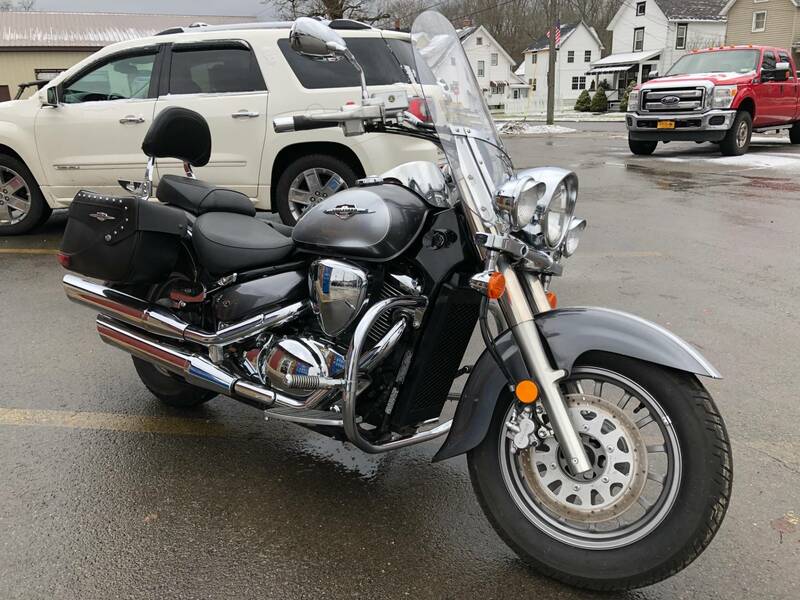 There are 16 Suzuki Boulevard C50T Motorcycles for sale within 150 miles of Jamestown, NY. 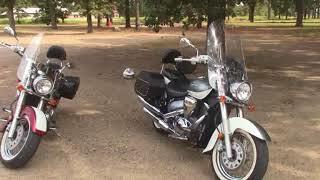 If you looked at the average 2012 Suzuki Boulevard C50T Motorcycle for sale it would cost $4745.50 more. 8. 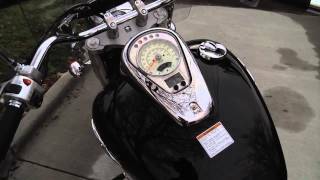 ClevelandMoto - BadAss Bikes on a Budget - 2011 Suzuki C50T The intelligent middleweight cruiser.